A large number of studies have identified significant physical, biological and health effects associated with changes in Solar and Geomagnetic Activity (S-GMA). Variations in solar activity, geomagnetic activity and ionospheric ion/electron concentrations are all mutually highly correlated and strongly linked by geophysical processes. A key scientific question is, what factor is it in the natural environment that causes the observed biological and physical effects? The effects include altered blood pressure and melatonin, increased cancer, reproductive, cardiac and neurological disease and death. Many occupational studies have found that exposure to ELF fields between 16.7 Hz and 50/60 Hz significantly reduces melatonin levels. They are also associated with the same and very similar health effects as the S-GMA effects. The cell membrane has an electric field of the order of 105 V/cm. The ELF brain waves operate at about 10-1 V/cm. Fish, birds, animalsand people have been shown to respond to ELF signals that produce tissue electric gradients of ULF/ELF oscillating signals at a threshold of 10-7 to 10-8 V/cm.This involves non-linear resonant absorption of ULF/ELF oscillating signals into systems that use natural ion oscillation signals in the same frequency range. A long-lived, globally available natural ULF/ELF signal, the Schumann Resonance signal, was investigated as the possible plausible biophysical mechanism for the observedS-GMA effects. It is found that the Schumann Resonance signal is extremely highly correlated with S-GMA indices of sunspot number and the Kp index. The physical mechanism is the ionospheric D-region ion/electron density that varies with S-GMA and forms the upper boundary of the resonant cavity in which the Schumann Resonance signal is formed. This provides strong support for identifying the Schumann Resonance signals as the S-GMA biophysical mechanism, primarily through a melatonin mechanism. 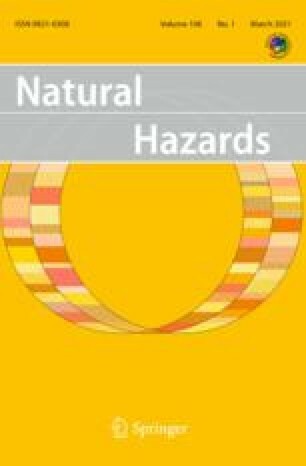 It strongly supports the classification of S-GMA as a natural hazard.